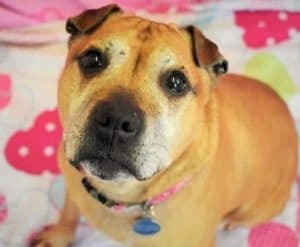 Princess Pixie is around 10 years old, a Staffy cross in the care of RSPCA South Godstone in Surrey. 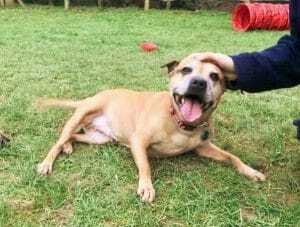 Pixie is a very sweet natured, human loving dog, always a waggy tail and smiley face to see you. 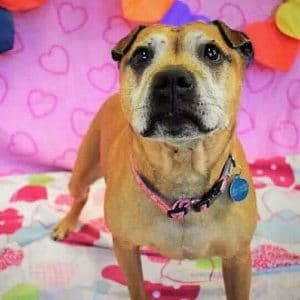 Sadly she does not get along with other dogs or cats, but she could live with older children. 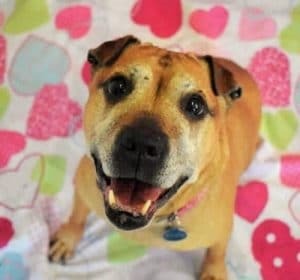 She is still full of energy and loves her walks but is also quite happy to cuddle up with you for her much loved snuggles. Pixie is spayed and healthy. She had two issues in the past which needed treatment but are now all cleared up. They were, a poorly ear and sore skin which needed steroids. Her new humans will need to keep an eye on these in case they return. 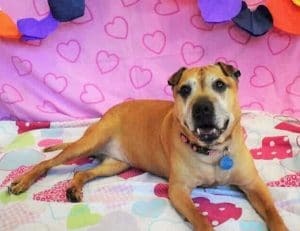 Please say you saw Pixie on the Oldies Club website.